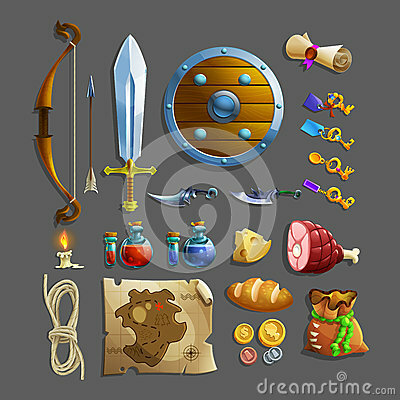 Set of items for game. Different food, weapon, potion and tools. Set of items for game. Different food, weapon, potion and tools. Vector illustration.